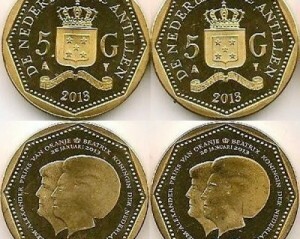 WILLEMSTAD - The Royal Mint has been sold to a Belgian company for 3.5 million euros. The coin maker also moves from Utrecht, the Netherlands. It has been there since the time of Napoleon. Now the Royal Mint goes to Houten. In addition to the more than 250 million-euro coins for the Benelux, the Antillean Guilder and Aruban Florin are also minted there.